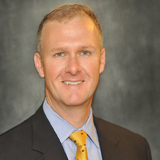 John Middleton joined Brighton Financial Planning, Inc. in August 2008 and assumed ownership of BFP in February 2010. John has been involved in the industry since 1992. Prior to Brighton, John spent 7 years with the Invesco Quantitative Strategies Group as a Senior Director and Client Portfolio Manager. While with IQS, John was responsible for over 50 clients worldwide with more than $2.5 billion in assets under management. Within this role, John was responsible for administrative portfolio management duties, portfolio attribution and on-going client reporting for all IQS strategies in which his clients were invested. These strategies included domestic equity and alternative strategies such as equity market neutral. John was also responsible for supporting the marketing efforts of the Invesco Sales & Service team. Within this role, John was responsible for finals presentations for all IQS strategies, winning more than 20 finals totaling nearly $1 billion in new assets for IQS. John also wrote several white papers covering such topics as Quantitative vs. Fundamental Enhanced Index Managers, SMID Cap strategies, and Transaction Cost Management. Finally, John was a frequent speaker at conferences, including to the United States Securities and Exchange Commission, on 130/30 and alternative strategies. Prior to Invesco, John was as an Officer and Senior Vice President at Mutual of America Capital Management. While with MOACM, John was responsible for initiating sales and marketing efforts within the institutional plan sponsor community and pension plan consultants for the MOACM stable of investment strategies including Active Core Fixed Income and active and passive U.S. equity strategies. Prior to Mutual of America, John held several positions with Raymond James & Associates, Inc. and RJA subsidiaries. These positions included Director of Marketing & Client Service for Awad Asset Management, Regional Vice President for Heritage Asset Management, Inc., Director of Corporate New Business Development for the RJA Investment Banking Group and Marketing Associate with the Partnership Investment Banking Group. John’s responsibilities across these positions included marketing tax credit and equipment leasing partnerships to Financial Advisors, marketing to venture capital and professional services firms for investment banking opportunities, screening potential investment banking candidates, marketing mutual funds to Financial Advisors, marketing and client service for a $1 billion small cap manager and briefly managing a small cap growth portfolio. John graduated from Rutgers University, where he received a B.A. in Political Science in 1988, and from the University of Tampa, where he earned an M.B.A in Finance in 1993. John is a Chartered Financial Analyst (CFA), a Chartered Alternative Investment Analyst (CAIA) and is an Accredited Investment Fiduciary(AIF). He is also a member of the CFA Institute, the New York Society of Security Analysts, the CAIA Association and the Financial Planning Association.